Day 28 of my film photograph a day for 2019. 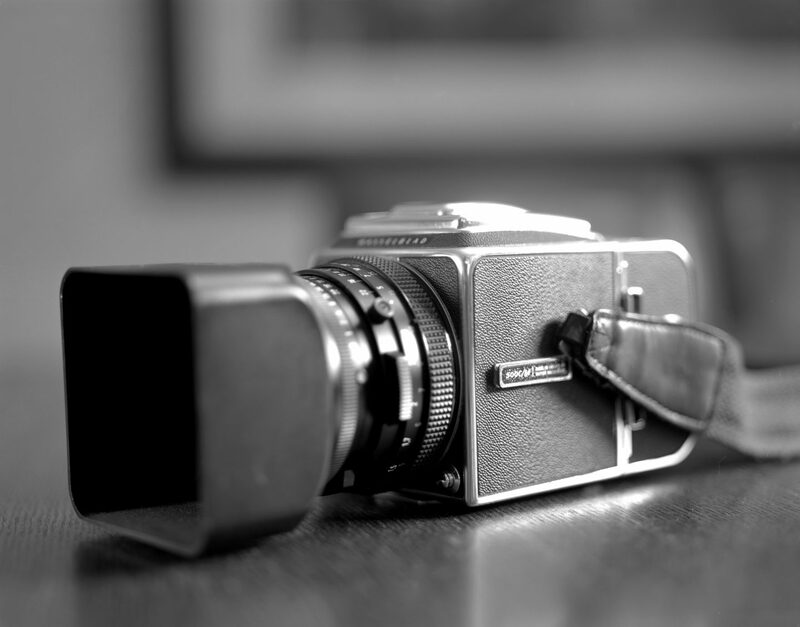 I took a photograph of my beloved Hasselblad 500CM medium format film camera. Purchased the Hasselblad 500cm years ago as a trade for a Canon 70-200mm lens. I think I got the better end of the deal. I took this photograph with my large format Graflex Crown Graphic 4×5 film camera. I choose Kodak T-Max 100 black and white film for the shot.